Just wondering how others speak to placing PICCs in septic patients, or patients with bacteremia when this is listed in the IFU contraindications. I've seen other threads where +blood cultures are discussed, and I felt the take away was place the line when it's needed and not wait for -BCXs. That said, can the placing provider be held liable for a negative patient outcome if a line is placed in the setting of a manufacture's contraindication? I am not sure what your concept is for "held liable". Yes, a lawsuit can be brought against you by anyone at anytime for anything if the patient/family finds a lawyer willing to take the case. Will you loose the lawsuit in the end? No one can answer that question. There is no possible way to predict the outcome of any trial because each case is very different, different facts, different experts, etc. I would ask the company for their evidence to support this IFU statement. Is it well designed research studies? Conducted ethically? As I have said in many discussions, ALL pieces of plastic can become colonized. There is nothing mystical about a PICC that makes it more or less likely to become colonized with or without positive blood cultures. At present there are no standards or guidelines prohibiting placement of any VAD with positive blood cultures. 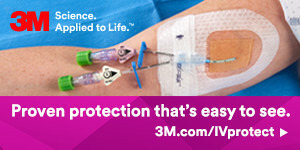 How would you treat the infection if no VAD could be inserted? We would not avoid PICC placement if the patient was septic and sick enough to need Pressors, but if a peripheral IV can be safely placed until 48 hrs of IV ABX have been given, I cannot see a problem with that practice.